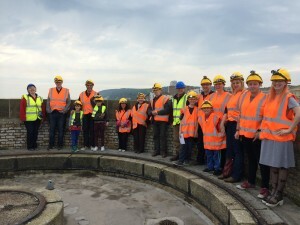 The tower is not in perfect condition, but late in 2014 the Wish Tower Friends took on a lease from the Council to open it to the public and help maintain as best they could. Since then we’ve been staging tours and events, raising funds and doing our best to keep it dry and pleasant. Whilst plans are developed to put a new permanent restaurant building on the site, a temporary cafe called ‘The Western View’ has been put in place. It’s already proving very popular with visitors and with the Wish Tower Friends who use for meetings, and refuelling whilst working in the tower. Eastbourne Borough Council continue to plan for the future of the Wish Tower Slopes site, along with the nearby Devonshire Park site.